People watch the goings-on of the Belfast Street Party from the roof of a downtown building. One night every August for the past 10 years, Belfast officials have closed two downtown streets to traffic in order to hold a huge party that brings thousands of folks out to dance, eat, ride and play. This year, though, the future of the Belfast Street Party is being redesigned, as the group that has sponsored it since at least 2010 announced on Monday it will not be involved in the event this year. 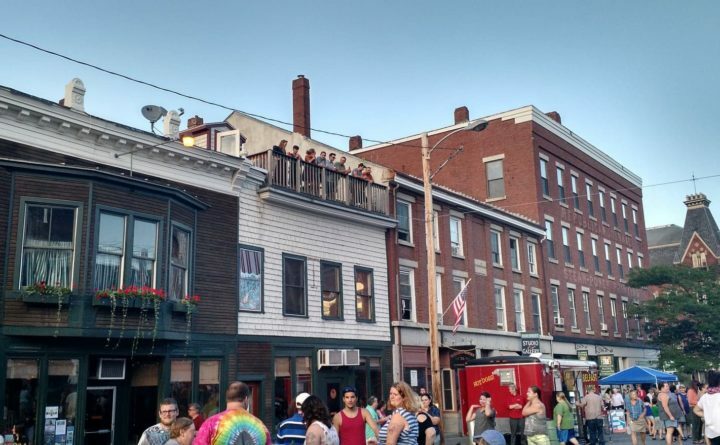 “After many thoughtful conversations and careful consideration, Our Town Belfast has decided that we will be stepping away from the summer street party in 2019,” the nonprofit’s board of directors wrote in an email to Belfast Downtown Business Group. Zach Schmesser, the executive director of the program, said Wednesday that the decision was made for several reasons. August is a challenging time of year for business owners to participate in an event like this one, because they may be on vacation themselves, he said. As well, last year, the street party suffered from a shortage of volunteers and may not be a great fit with the mission of the organization, which is part of a national network of programs that aim to build stronger communities through preservation-based economic development. Finally, Our Town Belfast officials also heard from some people that the street party is an “overwhelming experience,” he said, and not necessarily in a good way. But not holding the street party doesn’t sound like a good option to City Councilor Mike Hurley, who helped start the street party in 2009. August is the best time for an event of this type, he said, because so many people are around, including college students who are home for break, summer visitors and others. The Belfast Street Party a few years ago. He said that the street party has helped to fill a hole left by the demise of summer events such as the Broiler Festival and the Belfast Bay Festival, and he wants it to continue. Toward that end, Hurley sent an email of his own this week in response to the one sent by Our Town Belfast. In it, he said that the Belfast Street Party will continue this year, albeit in a slightly reduced footprint and with an increased focus on activities for children. He has offered to be the lead coordinator of a new committee that will work to pull together this year’s festival, which he said will have support from the city of Belfast. “I’ve heard people say it’s the only thing that Belfast does for us,” he said of the street party. Not everyone shares that view. 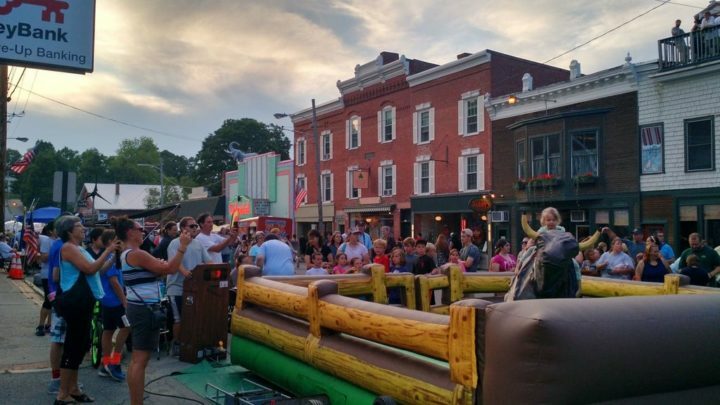 Ryan Otis, the owner of Rollie’s Bar & Grill, said that although he has participated in the event on and off since it started, he has always been concerned with the fact that High Street is blocked to traffic on the afternoon and night of the street party. But others love the street party and are planning to join the effort to make sure it continues. Brittany Tarbox, the director of operations of Kids Unplugged, said that her company wants to be involved.